Note: There are no spoilers in this review, beyond an overview of the components inside the box that you are given at the start of the game, and some vague commentary on the trends found playing through the EXIT: The Game series. That said, if you are looking for a pure, unspoiled experience, you may not want to read this review. When I reviewed EXIT: The Game - The Abandoned Cabin, it was the first escape-room-in-a-box experience I’d played, and I compared and contrasted it with my experiences of doing actual live escape rooms. Now, almost two years later, the genre has absolutely exploded, with the first three titles of the EXIT series winning the 2017 Kennerspiel des Jahres, and other similarly styled games coming in the form of the Unlock! series, the Deckscape series, the Escape Room The Game series, and branded escape games, including MacGyver: The Escape Room Game and Jumanji: Escape Room The Game. I have now played all nine of the EXIT games that are currently available in the U.S., as well as many of the others listed above. So my review here for EXIT: The Game - The Mysterious Museum will be much more of a compare and contrast with other escape room boxes, as opposed to my EXIT: The Abandoned Cabin review -- although I stand by that review, the only thing that has changed is my perception of what is possible in these boxed games. Speaking broadly of the EXIT system, every game features a disk which is used to help ascertain if you’ve solved the riddles correctly. There are two kinds -- ones that use numbers along the disk, and ones that use symbols. While I will grant that the symbols are often more thematic to whatever the specific EXIT scenario may be, they add some extraneous cognitive load to solving the puzzles that I rarely find worth it, and I was glad to see that The Mysterious Museum used numbers. 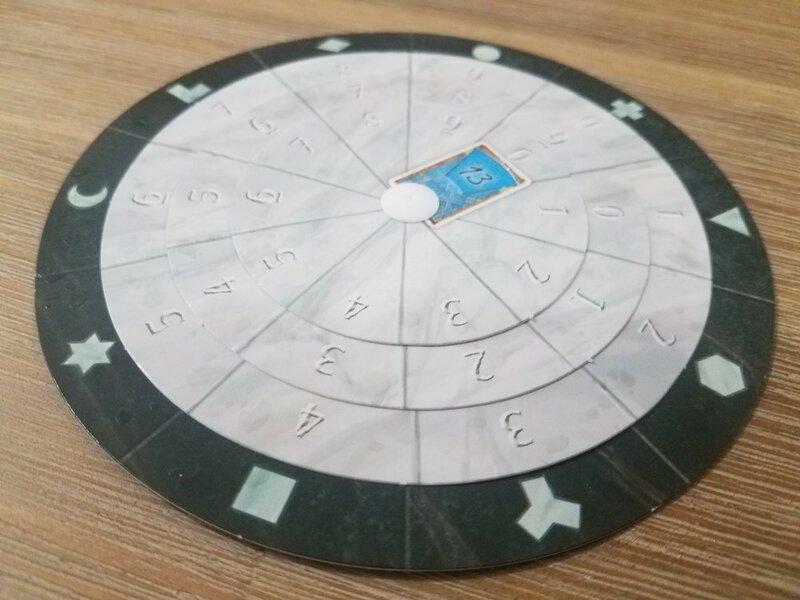 Every EXIT game also features a booklet, and like with the disks, there are two distinct styles -- ones that let you freely flip through the book from the start, and ones that don’t allow you to progress through to further pages before solving certain puzzles. Again, The Mysterious Museum falls in the latter category. While I enjoy both styles fairly equally, I find the linear progression of the book to help create a more cohesive narrative story as opposed to a more freeform set of puzzles. One thing I am noticing in the later entries of the series is the inclusion of more elaborate components. 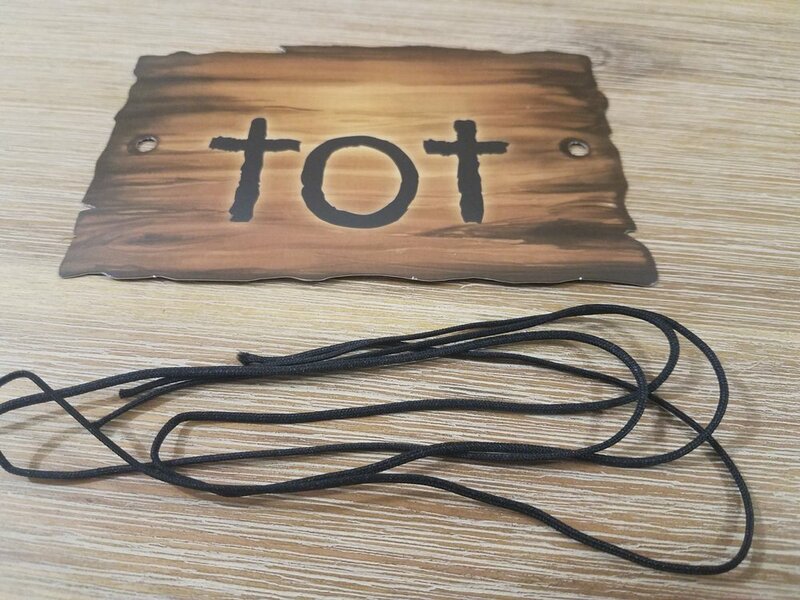 The Mysterious Museum is no exception, with a strange item that included a string, and an added texture to the disk. This more elaborate stuff does, however, mean the puzzle that uses the strange item requires a more involved set up, and becomes more about being able to physically manage it and not just mentally solve it -- similar to the strange item puzzle from EXIT: The Forbidden Castle. The Mysterious Museum also has a nice little Easter egg on the packaging, with an advertisement on the side of the box for EXIT: The Sunken Treasure that mentions the Santa Maria ship, a ship that is also mentioned in the Mysterious Museum. This “coincidence” has nothing to do with solving a puzzle, but is a nice self-referential nod. This EXIT also features another great use of the packaging components in a puzzle -- just when I think they can’t possibly integrate the box in another unique way, the creators manage to surprise me again. Overall, this was a fairly straightforward EXIT experience, and I agree with the 2/5 “novice” difficulty level that it suggests on the box. It is not as taxing as some of the others in the series, and the linear nature keeps it from being overwhelming, overly confusing, or too vague on which components are meant to help with which puzzles. That isn’t to say there are no tricky puzzles, or moments where hints are helpful, or even possibly necessary. There are a few chances to really overthink the puzzles with some misdirects, but that is just as likely to be a feature as it is a bug of the game. Speaking of the hints, one thing I did not realize until having done a few EXIT games was that, according to the game’s rules, if a Help Card only had something that you knew already, you do not include it in the calculation when scoring at the end of the game. Knowing this has made me more willing to confirm that I am on the right track with solving a particularly difficult puzzle, with the knowledge if I am, I won’t be penalized by the game. Pros: Despite being nine games into the series, the puzzles are still fresh, and in a lot of ways improving over some earlier clunky entries -- although there is still some hit and miss. The linear nature of this particular one helped it to better tell an interesting narrative story, while ramping the puzzle difficulty. Like all of the games in the series, this one plays very well solo. Cons: This game, like all of the EXIT series, is destroyed after one use, and hence cannot be replayed or shared, passed along, traded away or sold. Especially considering the linear nature of this one, there is not enough going on at any one time to make this game rewarding to play at higher player counts. Despite the game saying it can be played with up to four players, I wouldn’t play it with more than two. This game will not be enjoyed by anyone that doesn't like solving lateral thinking, logic, and deduction puzzles. Having played many of the different escape room games, EXIT: The Game has cemented its place as my favorite experience. Deckscape is quickly becoming my second favorite, while Unlock disappoints me more often than they satisfy me -- although they somehow manage to pleasantly surprise me just often enough to keep me doing them. The EXIT: The Game series is an innovative step in board game design that blurs the definition of board game and puzzle solving, at the expense of being completely disposable. I found the experience of playing very enjoyable, and “exiting the game” left me with a sense of accomplishment. I would recommend the EXIT series to anyone that enjoys riddles and wouldn’t mind the one-off nature of these games. Full disclosure: I received a review copy of EXIT: The Game - The Mysterious Museum from the publisher. Mar 21 Open Seat Gaming: Scott's Top 10 - Numbers 10 to 6!